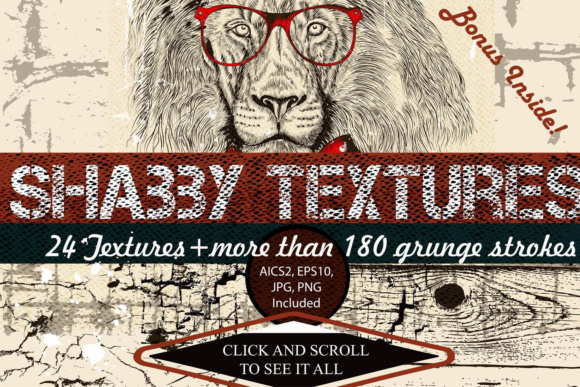 Introducing big pack with useful grunge textures and strokes for design. This is really must have for any designer. Can help to get unique stylish look to any designs. Was created from real source materials (wood, fabric, wall, canvas, spots and many other), so designs with using of this pack will be looks realistic. Fabric, clothes, interior, design of bags, labels, packaging, scrapbooking, covers for phones or tablets, greeting cards or any that tell your imagination! Included separate files for every of 24 texture (Aics2, EPS10, JPG, PNG with transparent background) and 2 files with sets of strokes. 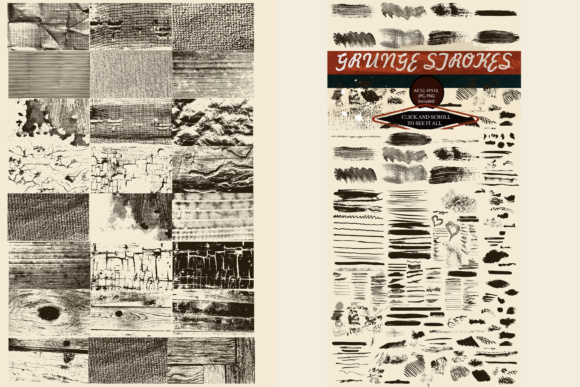 Also included common files with textures and strokes. 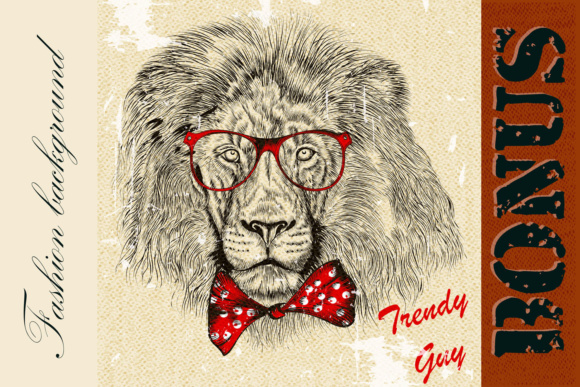 Bonus included: Trendy background with hipster lion (Aics2, EPS10, JPG).